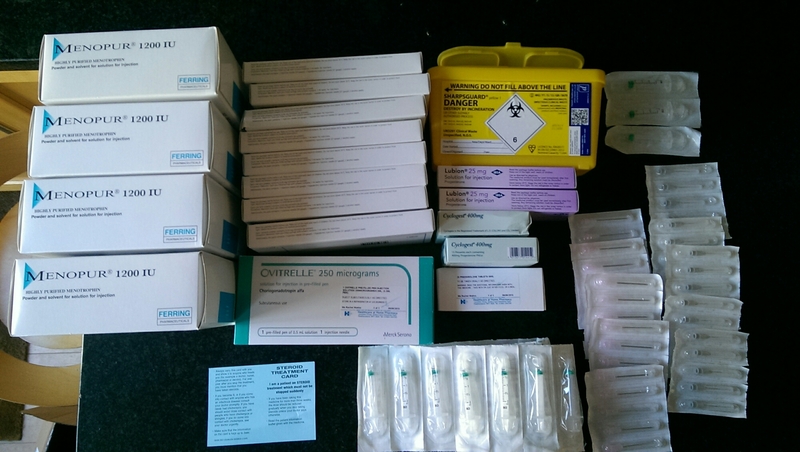 … of neatly arranged IVF medication. As arranged and photographed by my OCD-tastic partner in crime, Mr Husband. So everything arrived today and we’re all ready to get back on the IVF bus, next stop pregnancy town. Let the waiting and worrying commence! First mini hurdle will be the day 2 scan around the 29th June to see how many follicles I’m growing. Fingers crossed the DHEA has kicked in by then, watch this space.